While some parts of the United States were left devastated in the wake of Hurricane Florence, several Asian countries are reeling in the face of Super Typhoon Mangkhut, Typhoon Trami, and the approaching Typhoon Kong-rey. As of September 2018, was the strongest storm worldwide this year, making landfall in the Philippines as a Category 5 equivalent super typhoon. The Philippines suffered the worst of the damage – the strong winds and rain resulting in numerous landslides. In some areas, roads, houses, and even whole villages are buried in mud. Though thousands of families evacuated prior to the storm, there are at least 95 confirmed deaths in the wake of Mangkhut, with even more people still missing. There are still several searches looking for survivors of the landslides. The island of Luzon reportedly suffered losses more than double the predicted ‘worst-case scenario’. 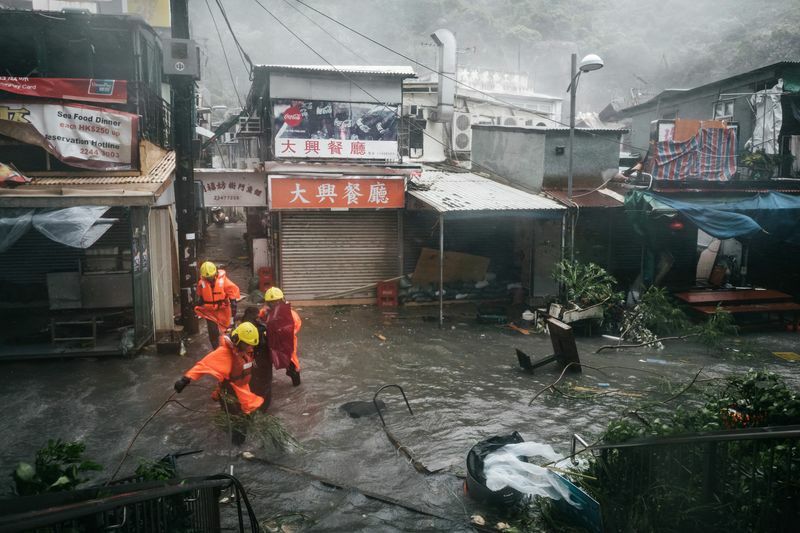 On the opposite end of the spectrum, Hong Kong handled the storm comparatively well. The last time they had experienced a storm of this strength was in the 1960s, which had killed 183 people and resulted in thousands of homeless. The government was much more prepared this time around – regular updates were posted, low-lying areas were evacuated, and the populace heeded orders to stay indoors during the storm. Despite the violent destruction of buildings, roads, and trees, there are no reported deaths and only about 300 injuries. However, the people of Hong Kong still found reason to complain, as most were still expected to return to work the following day, even with disrupted transportation. Other countries including Guam and mainland China also suffered damages and evacuated several citizens. Unfortunately, Mangkhut is not the only typhoon in the region. Typhoon Trami made landfall in Japan not far from Osaka only days later. This storm, which came less than a month after yet another storm, Typhoon Jebi battered western Japan, caused widespread disruption. Hundreds of thousands of homes lost power (some of which are still without power). Trains and flights were cancelled, and commuters struggled the following days from blocked roads. Thankfully, there are only four reported deaths and just over 100 injuries. However, Japan is not out of the woods yet. Super Typhoon Kong-rey is currently south of Okinawa and like Mangkhut, is equivalent to a Category 5 hurricane. There is still uncertainty as to where exactly the storm will travel but it is estimated that the storm will travel just east of China. Hopefully, the storm will remain offshore to minimize damages, until it makes landfall in South Korea as a weakened tropical storm. Even if Kong-rey stays offshore, flooding, mudslides, and dangerous winds are still likely in the coastal areas of Japan. Storms of this calibre are likely to become more common in the years to come as a result of climate change. As greenhouse gases accumulate and the world becomes warmer, the oceans become warmer as well. Tropical storms in both the Atlantic and the Pacific draw energy from abyssal heat stores, so warmer oceans means more intense tropical storms. To compound this, higher sea levels will also lead to higher storm surge. Unfortunately, the countries most responsible for said climate change, like the US and China, typically do not suffer the worst effects. Countries like the Philippines (which emitted less than 1% of global emissions in the last 100 years) suffer the greatest consequences. Countries with less infrastructure, fewer resources, and more rural populations experience more deaths, more damage, and more financial losses in the face of these devastating storms. This dilemma has prompted some discussion in how developed countries can assist less developed countries in the wake of weather phenomena, but there is still a long way to go. Previous DSA: What Should the Left Learn from Venezuela?